Got a way with words? Known for your funny remarks or witty comebacks? 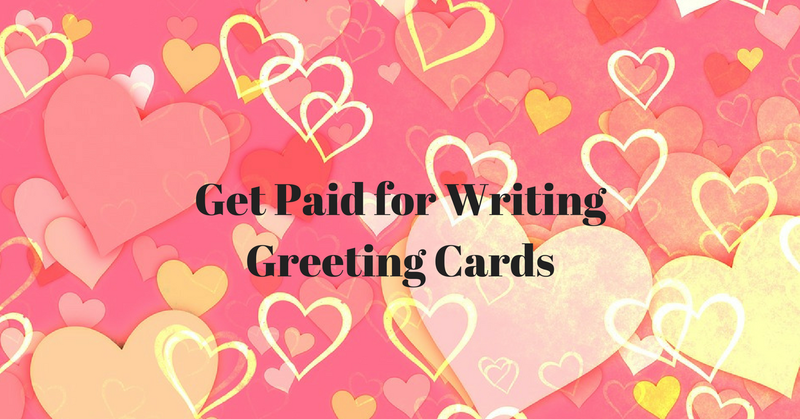 You can earn up to $300 for a greeting card poem, or $100 for a funny phrase. Check out these six options. — Blue Mountain Arts: Pays $300 for greeting card poems, $50 per poem for books. “We’re looking for contemporary prose or poetry written from personal experience that reflects the thoughts and feelings people today want to communicate to one another, but don’t always know how to put into words.” For details, click here. — Calypso Cards: Buys ideas and artwork for several lines of greeting cards. “We are currently seeking copy for Selfish Kitty, a humor line which is edgy but not cruel or degrading. The audience for Selfish Kitty is young, urban, educated.” Payment amounts not mentioned. For more, click here. — Oatmeal Studios: Pays $75 for greeting card and notepad ideas. “We reject the following: PUNS, GROSS IDEAS, MEAN IDEAS, LENGTHY POETRY or PROSE, NARROWLY FOCUSED IDEAS (ie: new baby for quintuplets).” Click here for more. our company any ideas, writings or designs which might lead us to even greater creativity.” For details, click here. — Snafu Designs: Pays $100 per idea. “Our humorous cards use clever ideas that are simple, concisely delivered, and aimed at a ‘smart’ adult audience. We like our cards to invoke a laugh-out-loud response from the reader.” For guidelines, click here. — Smart Alex: “Compensation discussed after submission is accepted.” Risqué. “We are always on the lookout for funny lines with an emphasis on humor for grown-ups. Our style of humor tends to be topical, witty, smart, ironic, or sexually suggestive. We like our cards to be surprising without being shocking, a bit dirty without being filthy, and we like to poke fun without being insulting.” For more, click here. For more work from home ideas, see our Newest Jobs & Gigs page. To be the first to hear about gigs like these, like our Facebook page. Good luck in your next work from home steps! This entry was posted in Artistic Jobs, Earn Extra Cash, Humor, Work at Home Jobs. Bookmark the permalink.